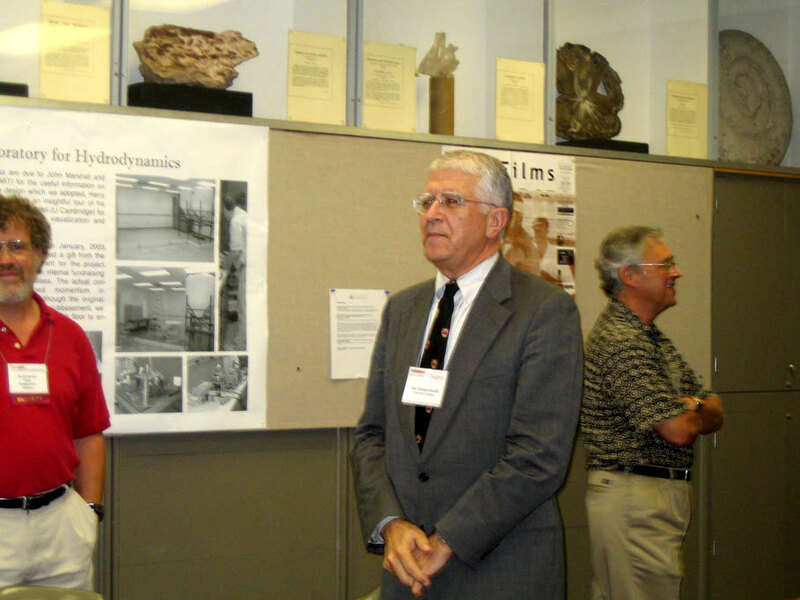 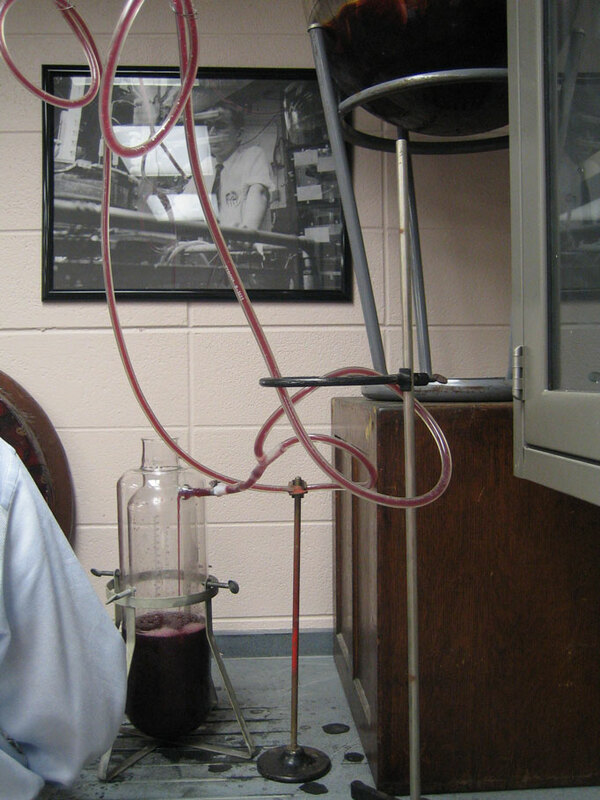 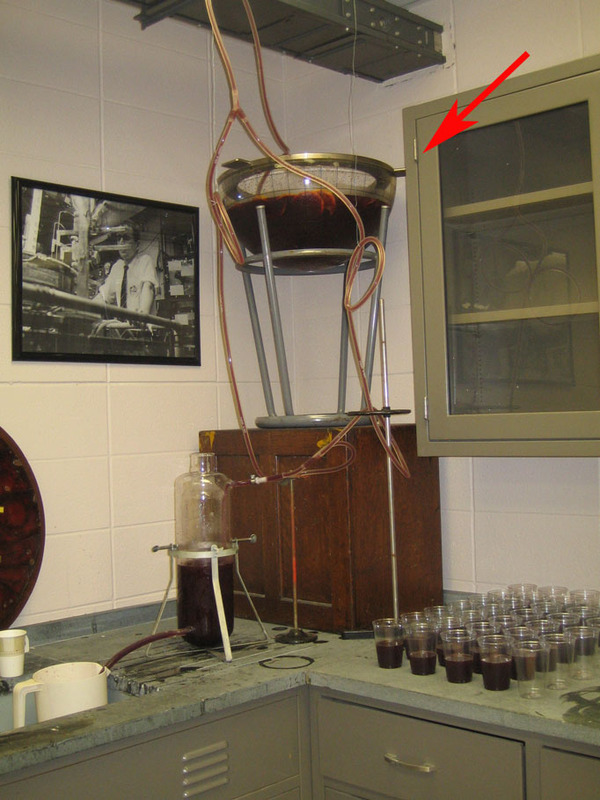 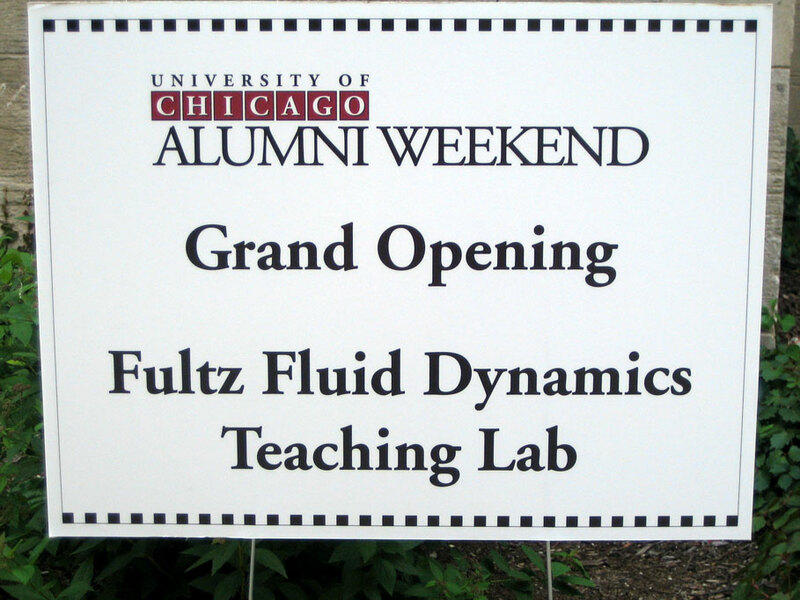 The Dave Fultz Memorial Laboratory for Hydrodynamics officially opened on June 3, 2005. 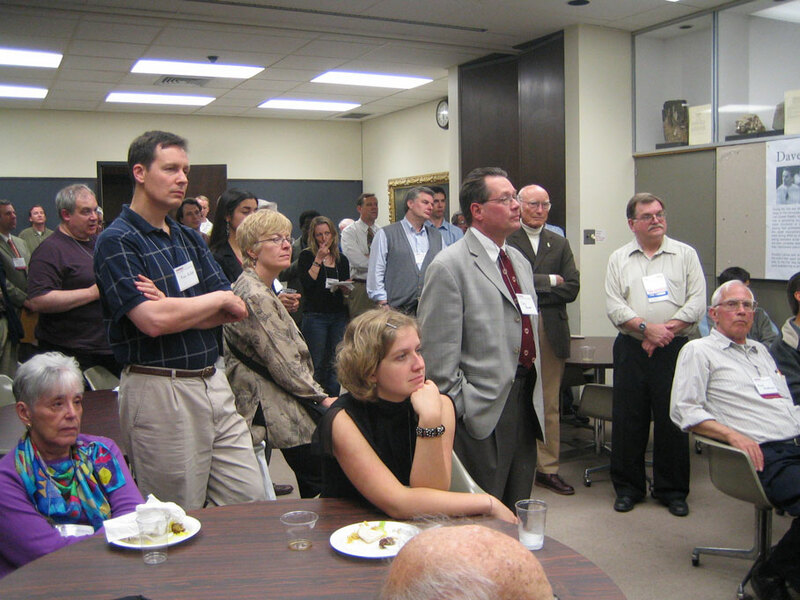 The occasion coincided with the Alumni Weekend and over 80 people attended, including the families of the two daughters and the son of Dave Fultz's. 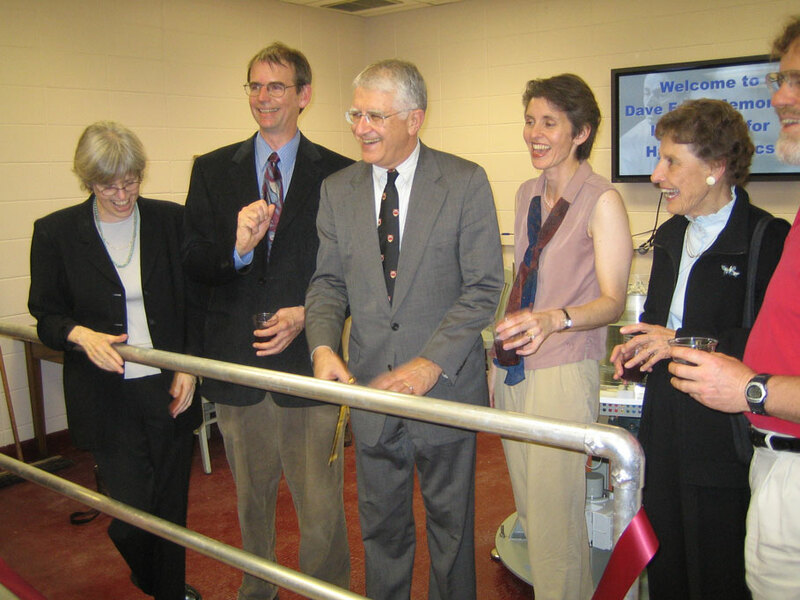 Don Randel, the President of the University, made welcoming remarks and cut the tape. 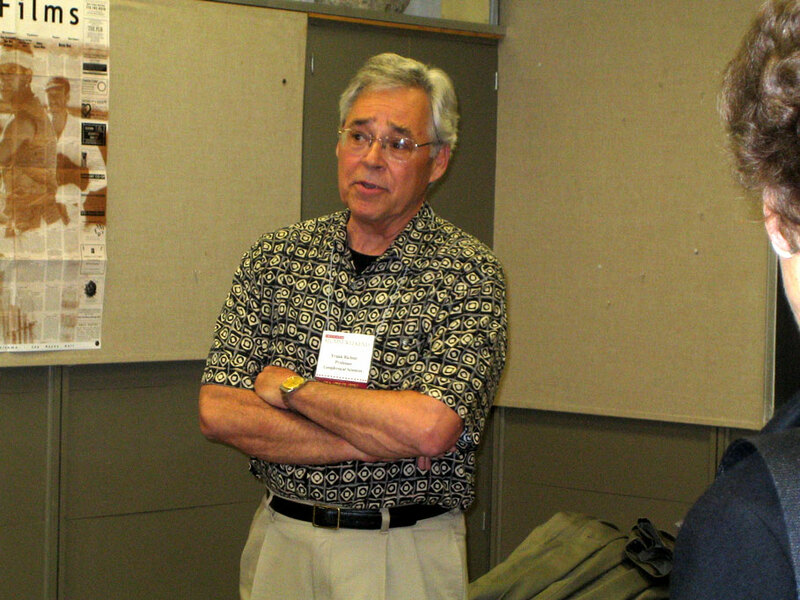 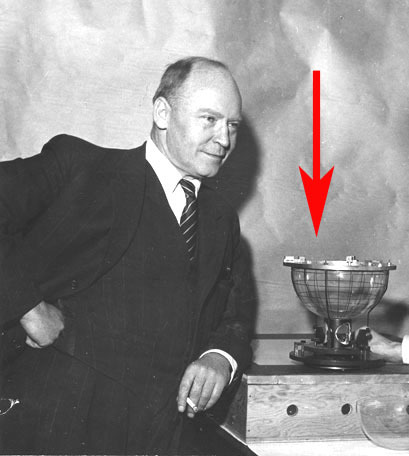 Frank Richter, Sewell L. Avery Distinguished Service Professor in the Department of Geophysical Sciences and the College, also spoke on the significance of Dave's work, and Noboru Nakamura, Associate Professor in the Department of Geophysical Sciences, demonstrated Dave's famous "dishpan exeriment."